Matej Mohoric of Bahrain-Merida has won the 10th stage of the Giro d'Italia after beating Nico Denz in the sprint. The two broke away on the descent of the final climb. Simon Yates held on to the Maglia Rosa, ahead of Tom Dumoulin and Thibaut Pinot. The stage was characterised by a battle between Esteban Chaves and the rest of the GC riders that started on the first climb. Chaves got dropped, reportedly due to a sore throat, and many teams were interested in the Colombian losing time. In the end he lost more than 10 minutes. Today's stage was the longest one in this Giro. With 244 kilometres over a wavy course with over 4000 altitude metres between Penne and Gualdo Tadino, it was almost a one day classic in itself. Directly after the start the riders were challenged with the second category climb of the Fonte della Creta. A breakaway of 17 had already formed on the slopes of the climb, but it was quickly reduced to twelve on the climb. Giulio Ciccone (Bardiani-CSF) was the first rider to reach the summit of the Fonte della Creta, before Matteo Montaguti (AG2R La Mondiale) and Koen Bouwman (LottoNL-Jumbo). More important for the GC was the fact that the number two in the standings before the stage, Esteban Chaves, couldn't follow the peloton on the first ascent. He was reported 1,5 minutes behind the peloton on the descent. The other GC riders smelled blood, and Team Sky set a blistering pace in front of the peloton to make the Colombian suffer. They were soon assisted by Team Sunweb and UAE Emirates for Dumoulin and Aru. Meanwhile, Ciccone was again the one to take the KOM points, before Mohoric and Tony Martin. Chaves already lost 4 minutes to Ciccone by then, as Groupama-FDJ also put men to work in the peloton. With 160 km to go the early break was already caught due to the blistering pace of the pack. Only Martin eventually remained in front. He quickly realised the hopelessness of his situation and dropped back into the bunch. In the meantime Quick Step and Mitchelton-Scott were chasing a peloton led by Sky, Groupama-FDJ, Bora-Hansgrohe and LottoNL-Jumbo in order to bring back Chaves and Elia Viviani. The gap stayed between 1:30 and 2 minutes for about a hundred kilometres, but with a 100 km to go the gap increased to 2:30. Quick Step then gave up the chase in the back and Mitchelton-Scott was all alone in the chase. The gap then kept increasing and it became clear that Chaves would lose his position in the GC. The other leader of Mitchelton-Scott, Simon Yates, extended his lead in the GC by taking 3 seconds in the second intermediate sprint. Pinot took 2, and Davide Ballerini was third. After the sprint, Ballerini’s teammate for Androni-Sidermec, Marco Frapporti, decided to go solo. He soon got a solid two minute advantage. By the time they reached the last KOM (4th category) it had started to rain. 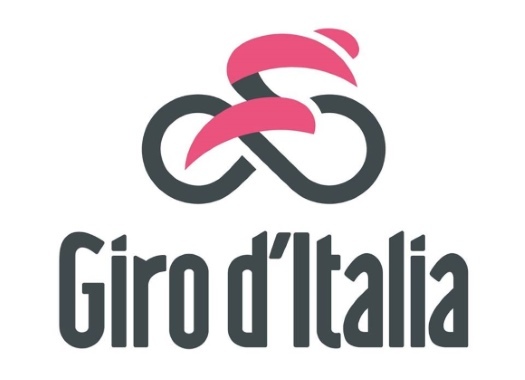 While EF Education First led the Maglia Rosa group, Davide Villella (Astana) attacked and he was quickly joined by Matej Mohoric (Bahrain Merida). The two former teammates (at Cannondale in 2014 and 2015) joined and immediately left behind Frapporti just before the top of the climb of Annifo, where Mohoric took the points before Villella and Frapporti. In the descent Sergio Henao (Sky), Nico Denz (AG2R) and Allessandro de Marchi (BMC) counterattacked. Meanwhile Mohoric put pressure on Villella with his impressive descending skills. Even more impressive was Denz, as the German closed the gap to the duo on front and quickly took the lead. There was panic in the group when Tom Dumoulin (Sunweb) was involved in a small crash and needed a bike change. He had to chase and got back on a couple kilometres later. White jersey Richard Carapaz (Movistar) needed two bike changes on the descent, but both times he managed to return. Villella could not follow the pace of his breakaway companions and was dropped in the descent of Annifo. Meanwhile Katusha-Alpecin and Bora-Hansgrohe chased in the Maglia Rosa group, but the two in front had 50 seconds advantage with 3 km to go. Adam Hansen attacked with 2 km to go but the leaders did not slow down. Mohoric took the front in the final kilometre. Denz attacked with 200 metres to go but the Slovenian countered and took the victory after more than 6 hours in the saddle. Sam Bennett completed the podium by winning the sprint of the peloton ahead of Enrico Battaglin.